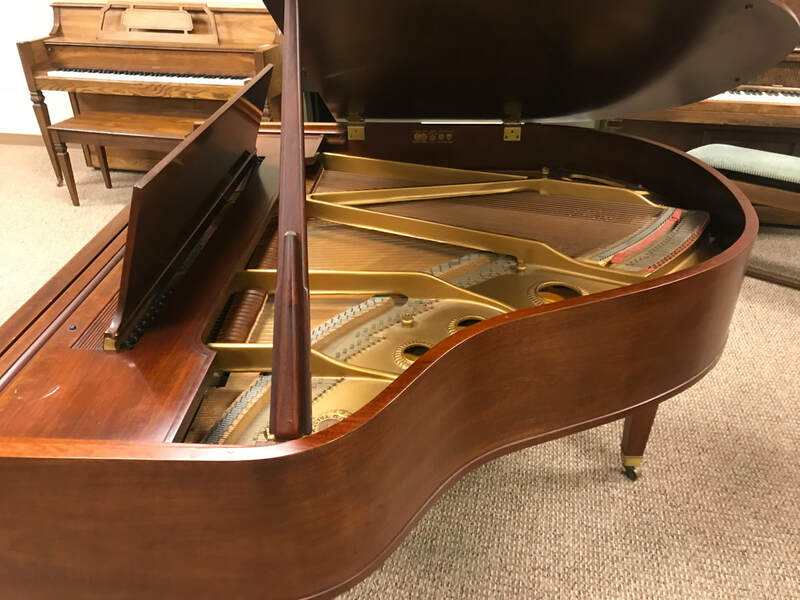 Baldwin Baby Grand, 5'3", 1961, Mahogany, $3999.00 OBO! A beautiful one-owner piano manufactured in 1961, this piano is more than a relic of a by-gone era, when Baldwin made pianos in the USA, and were considered one of the best. This is truly a fine piano! The Model M is 5'3" from front to back, perfect for any home! The 60 year-old original finish has a couple of love marks which give away its age, but it really looks great still! The piano itself plays wonderfully! It has power and clarity, the keys and strings and hammers all work well. The piano was the pride and joy of the home! Come try it out!